Wear as a medallion or display. The provided string is hard for senior hands to grasp. 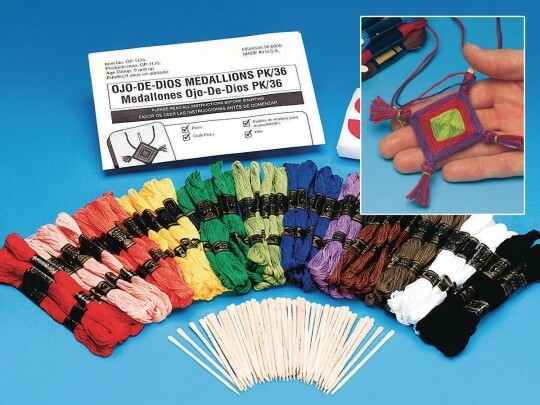 I ended up using yarn.The sticks were a nice size and they did like making these as a craft. We glued magnets on the back for refrigerators or hung them on walkers. This may be a better kit for teenagers. This product was not very easy to use for my resident. This is my fault I did not factor the sticks would be so small for residents to handle. I would probably recommend to the youth but not to other homes. The directions were a bit difficult to follow and the yarn size was impossible for young fingers to use. 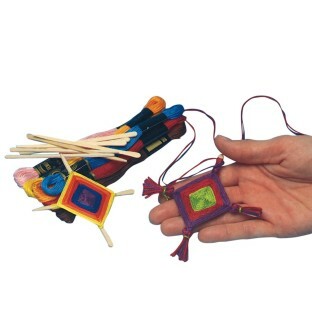 Children can create a beautiful craft for self to hang from their backpact or to use as a gift for a special friend. The easy results are impressive! Teens really liked making these.